Spectemur Agendo, the opening song of debut album by Barnsley’s The Hurriers, is the latin for ‘Judge Us By Our Acts’. It is not only the motto that sits beneath the coal miner and glass blower on the Barnsley coat of arms, it seems to be the bands modus operandi. But can they indeed be judged by their acts? The Hurriers are not all mouth. Formed two years ago, initially as your ‘go to’ polti-pop covers band for demonstrations, protests and fundraisers, they soon became known as ‘a proper Socialist punk band’ and garnered an extremely strong and dedicated following up and down the UK, of the back of their brilliant debut EP. The band has quite some pedigree. Their history is one steeped in working-class political struggle and even crosses generational lines (singer Tony and drummer Zak are father and son). Members are politically active elsewhere too – standing for a local seat, active Union members etc. Billy Bragg invited them to play at Glastonbury and they have already performed alongside New Model Army, Louise Distras and Sleaford Mods. All members are active on their local music scene in either other bands or as all round ‘doers’. The Hurriers can indeed be judged by their actions and come off with a very clean sheet. It’s a grand statement of intent. But is their manifesto upheld throughout the album’s stay? 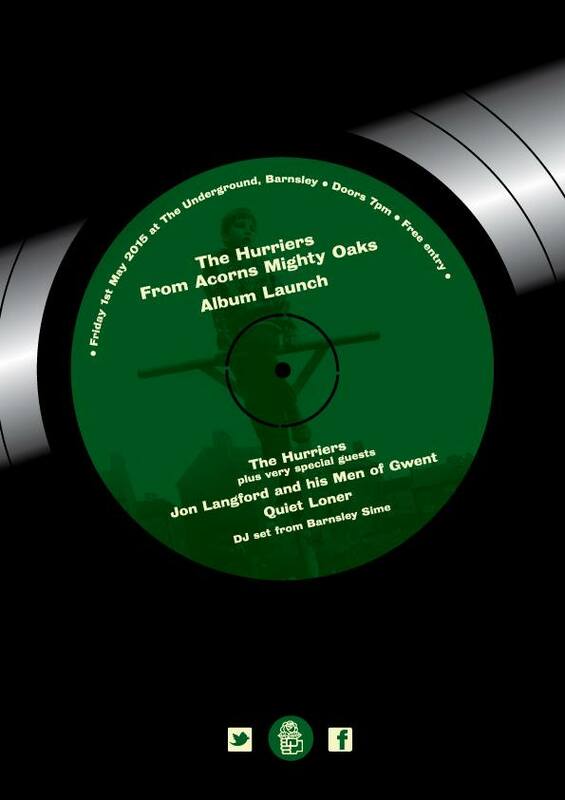 With an album whose artwork references The Smiths, Kes, The Housemartins and kitchen sink films of the 1960s, the boy on the cover is the ‘mighty oak’ in the album’s title and a proper northern soul. 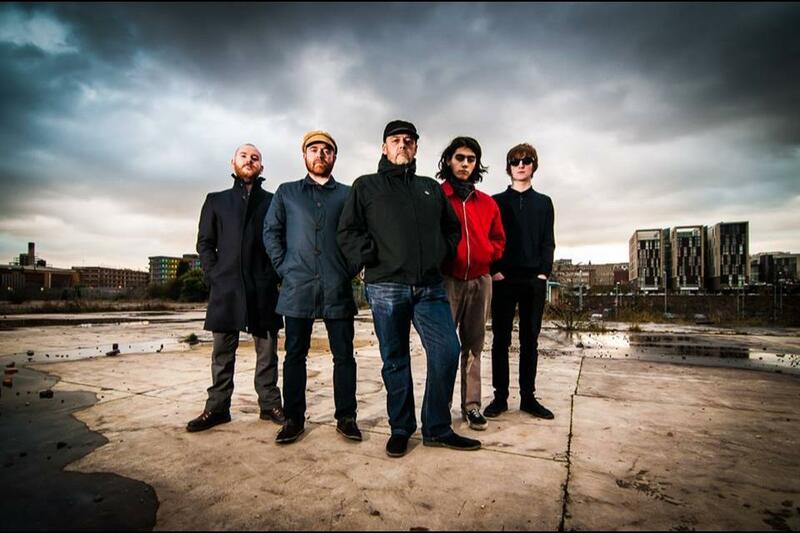 As is the band’s logo – northern soul fist, turned on its side with rose in hand. And back to Spectemur Agendo; opening with a sample ripped from 1960s news real footage of old Barnsley being ripped down and redeveloped, one still relevant today, a thunderous death-march of a bass-line and flange heavy riffs; musically at least this could have been ripped right from The Manics’ masterpiece The Holy Bible. Vocally, Tony Wright is more reminiscent of Mark E Smith or Bobbie Gillespie, and on the bridge when he hollers ‘now we know we must keep fighting, there’s no use in us just hiding’, he is the perfect front-man and mouth piece – soulful yet totally commanding. Totally brilliant – but peaking too soon? No way. Enjoy The Storm balances the dark that preceded it with some needed uptempo light. This track featured on last the band’s debut EP. This song and the two that follow – the wonderful Defiance and Faith To Fight – show a keen ear for Sound Effects-era The Jam and The Beat and The Redskins. It’s easy to lump The Hurriers into the left-wing punk territory, but here they showcase as much mod soul and rocksteady beat as they do the punk attitude. Two more familiar tracks from the EP appear here. Happy Families, with its standout spoken-word defiance and Truth and Justice, the calling-card for which the band have become known is their essay on South Yorkshire Police’s Orgreave tactics. Along with the album opener, Beat And Then Some is another highlight, and a live favourite too. It’s an aggressive, fast paced number where each band members gets to show off their skills – guitar solos and nasty drum fills aplenty. On You’re Not Gagging Me, the band sound like a distant musical relative to Gary Gilmore’s Eyes and Babylon’s Burning, and when Tony snarls ‘corporates’ he embodies the attitude of John Lydon. Britain Last is a big change of pace before the band peg it one last time for the finish, and is a commentary on the dangerous games organisations like Britain First play. While the song is the most sedate here, the refrain of ‘We are many, they are few’ is possibly the most important words to take away from the album. It’s another highlight, and yet in another world, I imagine this song working on an even grander scale, with orchestral flourishes, a la Everything Must Go. Closing track, Big Ideas and Promises is another defiant ‘punk’ number with big bass, big distortion and big soap-box, finger on your forehead messages drilled into us with a strong beat to kick against the pricks to. It comes complete with a surprise mid-section that is slowed-down Oasis swagger and Happy Mondays drawl, before one last dance to the finish line. The highlights here are many and the missteps are few – only Acorns fail to really get me moving, but that is only because the rest of the album is so bloody strong. Most prominent rock bands that come with a socialist message tend to have a very specific sound, often of folk/acoustic punk (see Tony’s fantastic Orgreave Justice compilation) and cater to a limited, but very loyal crowd. Not since the 90s have we had a left-wing band with a sound so ripe with message that they stand chance of crossing over to the mainstream. That is down to the strength of the songs – The Hurriers’ manifesto is as catchy as hell, and some brilliant production which adds a contemporary indie-sheen – not so far removed from early Arctic Monkeys and Kaiser Chiefs. While many say that musicians should stay away from politics, some of the most influential and important have defied that notion. They balance the pose and protest well. In From Acorns Might Oaks, The Hurriers have produced an album where neither their defiant political stance or their song-writing nouse overshadows one or the other. They have also created an important social document. Some of the best music will tell a story. This album tells the story of Barnsley’s then and now and also of what could be. It almost definitely is the most important musical document to ever come out of this town. Lyrically, you’ll struggle to find yourself a finer set of folk songs about the decline of the industrial north anywhere else. So do we judge them by their acts? We definitely do. Here The Hurriers have produced a fantastic contemporary rock album, strong enough to climb over the barrier that is the niche left-wing live scene and to potentially appeal to a mainstream audience. But with a message so anti-establishment, would a band like this ever be adopted by it? Time will tell. In the meantime, consume, organise and move to their beat. 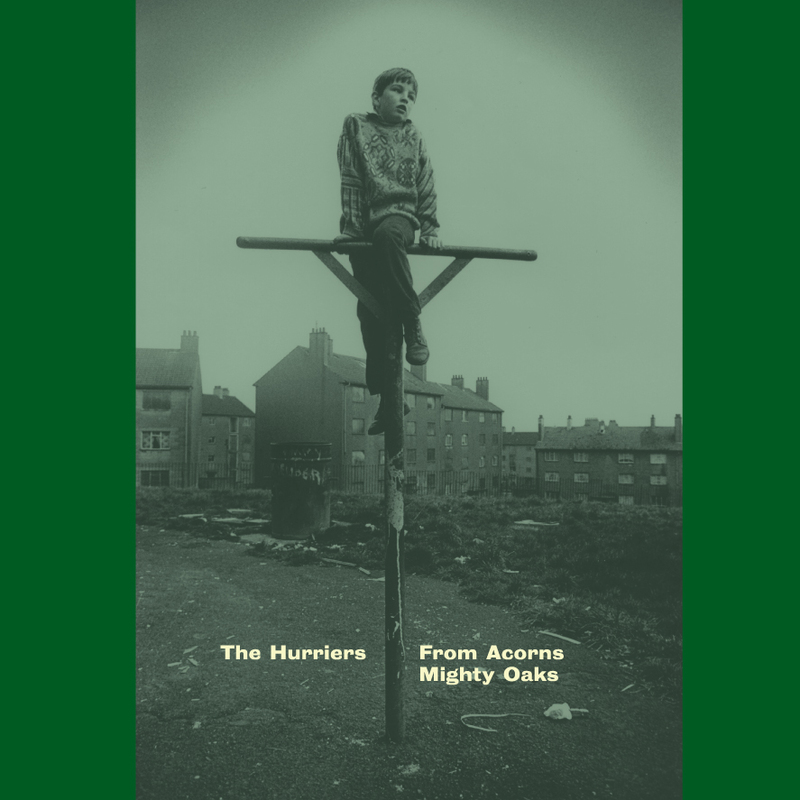 From Acorns Mighty Oaks is released on Friday 1st May, and is now available to pre-prder via the band’s website.